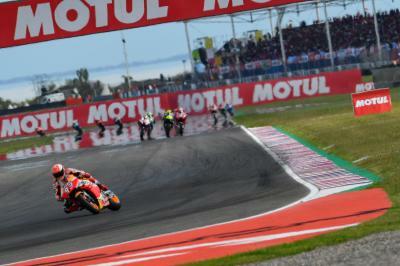 It wasn’t the end of the race that both Franco Morbidelli (Petronas Yamaha SRT) and Maverick Viñales (Monster Energy Yamaha MotoGP) would have been looking for at the Gran Premio Motul de la República Argentina, as both riders crashed out of contention at Turn 7 on the final lap. Morbidelli made contact with Viñales rear tyre while the pair battled hard with Mission Winnow Ducati’s Danilo Petrucci for sixth place. 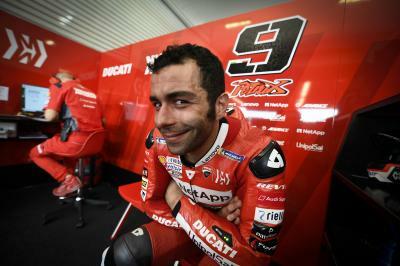 Thankfully, both riders emerged unscathed and the duo were in good spirits upon reflection. “Yes, I’m good. 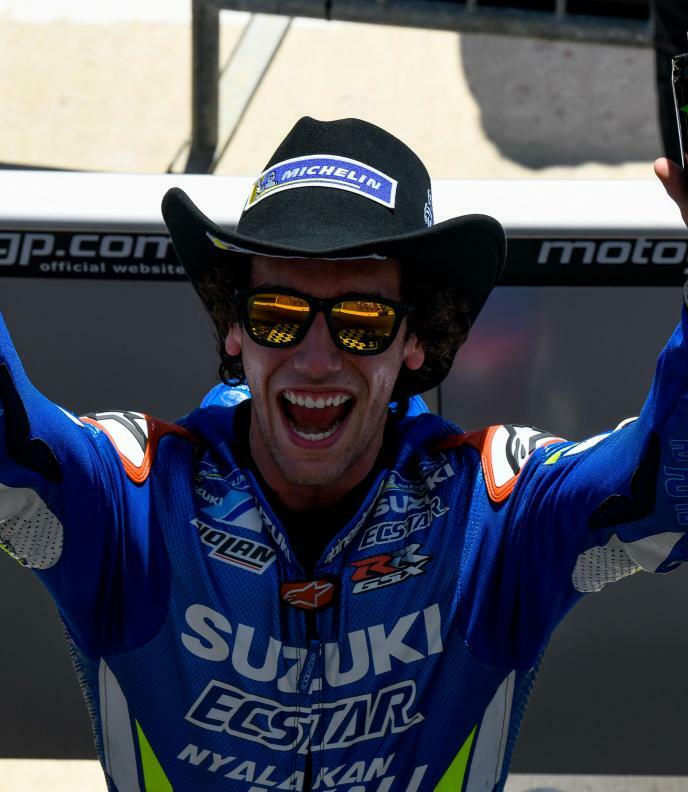 It was a good race for us,” said Morbidelli, who was in the podium hunt throughout in Argentina as he continues to make strides with the YZR-M1. “We were fighting on top and that’s exactly what we wanted to do. 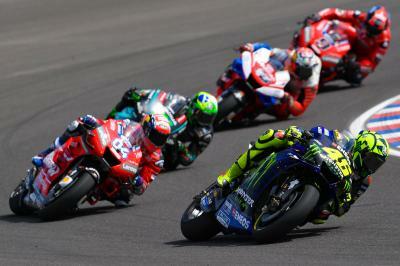 I felt strong in some areas of the track and I managed to do a good race until the last lap and then unfortunately I was fighting for sixth position and yeah, I just ran over into Maverick. There was no hard feelings towards Morbidelli from Viñales’ point of view, who was more than understanding of the incident after the race. 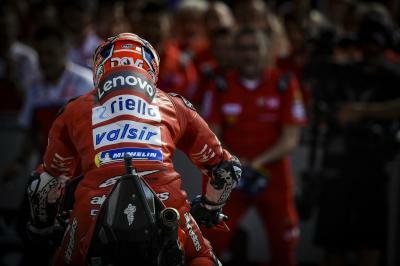 It was a disappointing end to the race but Viñales proved that in qualifying at least, he and the Yamaha are on song. 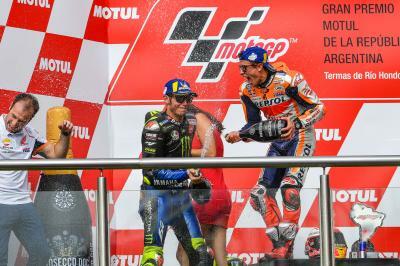 A pole in Qatar and a P2 grid slot in Argentina pay homage to that. 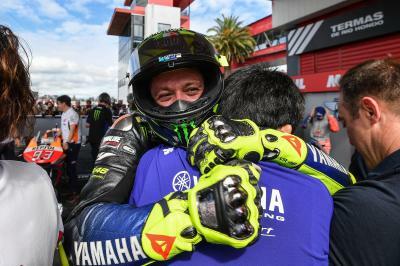 But despite encountering “something strange” during the race, the Spaniard is confident that when he and Yamaha can get the race package on song, he’ll be a race winning contender for sure. Both Morbidelli – who won the Moto2™ race in America in 2017 - and Viñales – who claimed P2 in Austin last season - will be aiming to bounce back at the Americas GP, which gets underway in less than two weeks’ time.